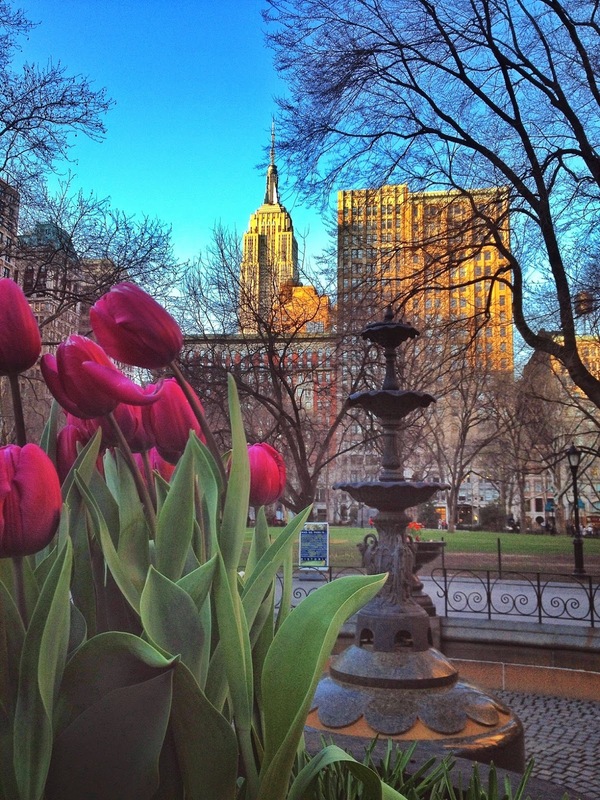 twin in the city: stopping to smell the roses. the past few weeks have kept me on my toes.... between puddle jumping, spring cleaning, and ignoring that impending tax deadline, it wasn't until this evening that i had a second to stop and smell the roses. okay well, they were actually tulips and daffodils...but nonetheless, it was one of those absolutely perfect nights all by myself. there's something about spending time with just yourself. walking with your phone tucked far away, grabbing a new york treat, thinking through things all on your own... i've really come to love it. today when i stepped out of the office, the sixty degree weather had left behind a comfortable chill and some pink clouds, and i felt an undeniable pull down the street, rather than into the dismal subway. there were too many potted plants and refreshing smiles to just end the day right then and there. 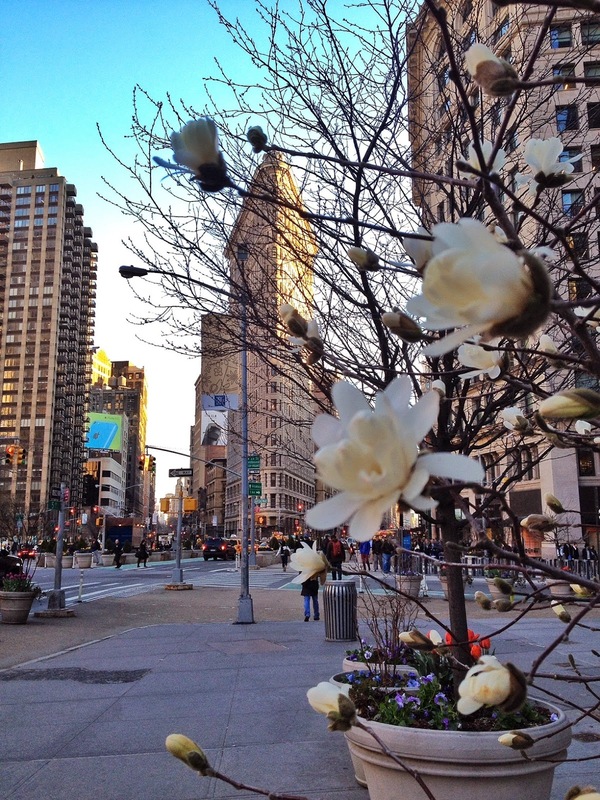 so i moseyed down broadway, with the flatiron building as my guide, making sure to pay extra attention to the recent blooms, lively city buzz, and skyline that seemed ever-so-crisp against the pale sky. an hour later, i had peeked into a number of quaint restaurants, admired shadowed brownstones, and taken in some of new york city's most breathtaking cityscapes. and then the "ah hah" moment came. life is good.